Yola, Nadiri, Akenji and Leo are ready. Now, you can visit the family starting at 1:00 p.m. daily. Our thanks to you all for the incredible patience, kindness and support you have shown the gorillas and zoo staff as we gave Yola and Nadiri the time needed to bond and form a family. Mother and daughter, Nadiri and Yola. Photo: Jeremy Dwyer-Lindgren/Woodland Park Zoo. Seeing these two together is everything we worked for, everything Nadiri worked for, and everything your support makes possible. You've followed along from Yola's first days of round-the-clock keeper care through the inspiring updates from keepers witnessing first-hand how Yola is truly growing up gorilla. Yola is never far from mom's side. Photo: Jeremy Dwyer-Lindgren/Woodland Park Zoo. Now you can #GrowWithYola yourself and share your photos and stories to help us build the ultimate digital scrapbook as we track her growth together. 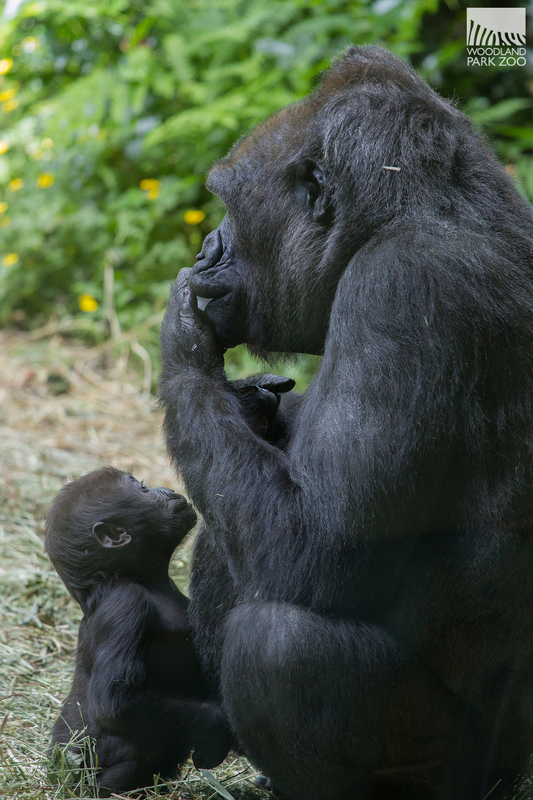 Yola is a Hausa name that means "firefly" and it couldn't be more fitting for the light she brings to her family and the spark she starts in each of us to fight for a world with gorillas in it. 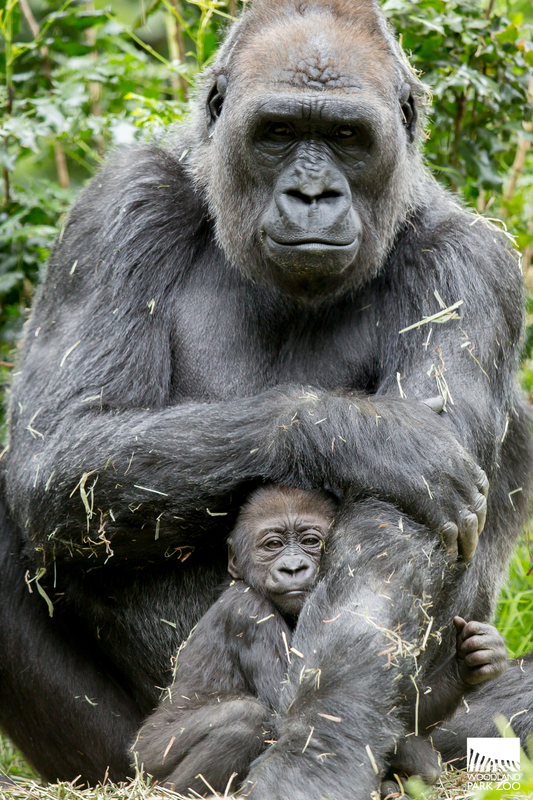 Critically endangered and losing ground every day in the wild, western lowland gorillas need our help. Every visit to Woodland Park Zoo helps support conservation efforts like our Wildlife Survival Fund project, the Mbeli Bai Study. 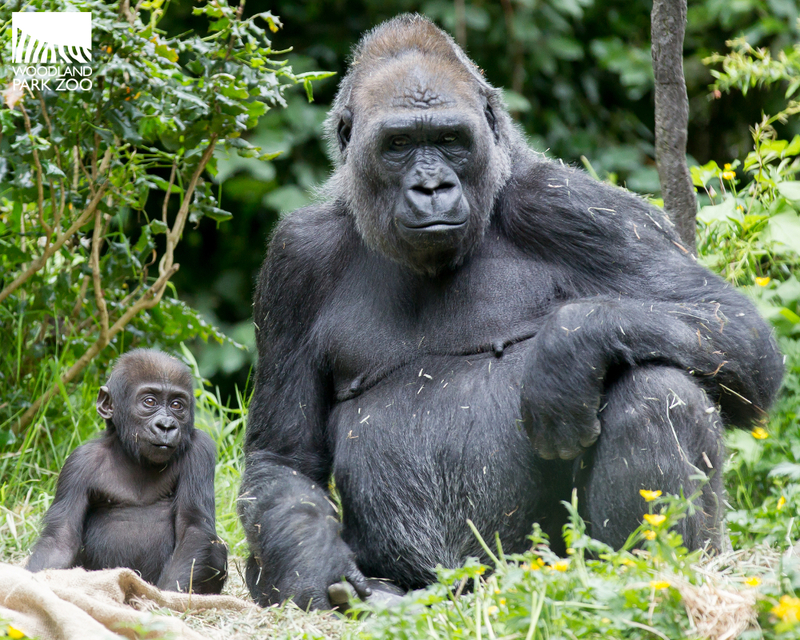 The study researches the social organization and behaviors of more than 450 lowland gorillas living in the Republic of Congo, providing the scientific basis for conservation strategies. Yola learns from he rmother every day, and we learn from them. Photo: John Loughlin/Woodland Park Zoo. You can champion these causes in your own home too. Take your cell phone, for instance. Did you know mining for coltan, a mineral used in cell phones to hold an electrical charge, puts gorilla habitat at risk? 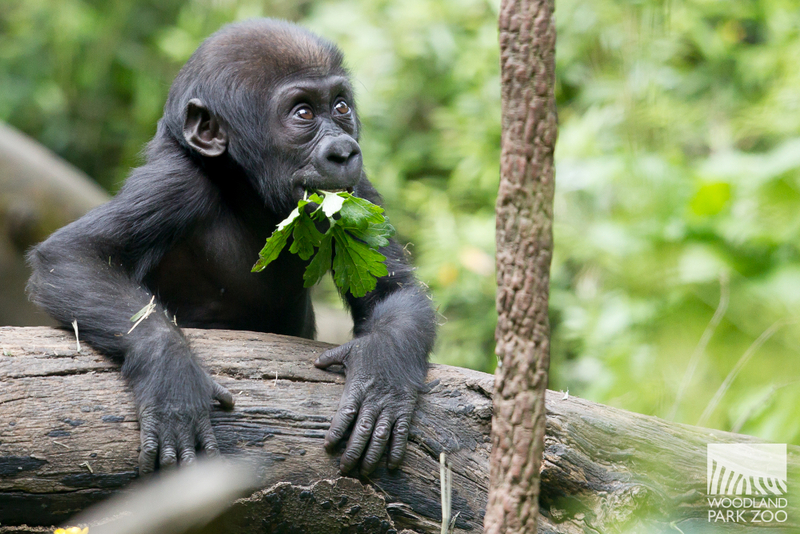 Recycle your cell phone responsibly through companies like Eco-Cell to make a difference for gorillas and their habitat.